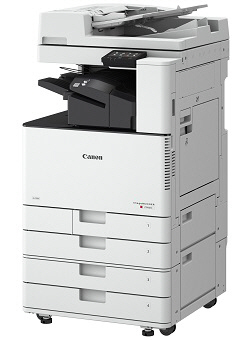 Canon have announced a new de-featured version of the C3500 series for simple office use without all of the whistles and bells asscociated with the main range. Many small businesses and departments have a simple requirement of a basic multi-functional A3 colour device without complication and up until now there has been limited choice where you buy many features you simply never need. At last we have a typical Canon quality product able to compete for price alongside low quality brands such as Kyocera, Toshiba and Samsung.